Doubleplus Ungood Doublethink - Mike Malloy Radio Show : Progressive Radio : Online Video Streaming : The Best In Nighttime Liberal Talk! M-F 9pm-12am. 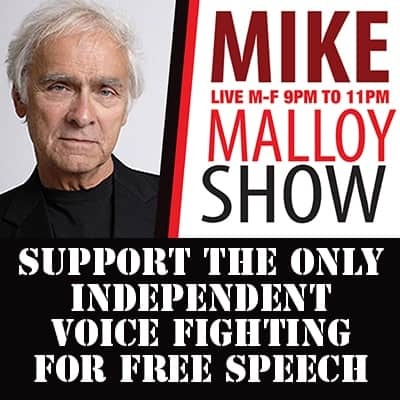 | Mike Malloy Radio Show : Progressive Radio : Online Video Streaming : The Best In Nighttime Liberal Talk! M-F 9pm-12am. Riddle me this, Orwell: how can the neocons be outraged over the release of torture photos and not outraged over the actual acts of torture? In a response to an ACLU lawsuit, the Obama administration agreed to release hundreds of photos graphically depicting “enhanced interrogation techniques” (or as Cheney calls it, foreplay) of detainees at GITMO and other facilities. How they’ve escaped the memory hole thus far is amazing. What’s up with the red faced, head-spinning, green pea soup-spouting outrage, Liz? You mean (gasp) the photos might show some nasty business after all? Holy crimethink, could the Bushies have been . . . less than honest about these interrogations after all? The Obama Administration just reversed it’s decision to release these photos, citing the potential for endangering our troops. Wow. Must have been some photographs. Tell me again how it’s okay to torture, as long as nobody sees it? Uh..WHICH 9/11 families did Liz Cheney speak with? Once a Republican claims to speak for any victims (of their own crimes) to justify their misdeeds, they make generalities. It was the 9/11 families that demanded proper investigations to which Bush/Cheney spat in their faces. Rick, if this continues, I’m with you………. I will support neither of these “parties”….. done, fine’ kaput, vershnicht! varummpt! D-O-N-E! The clock is ticking on the democrats, and the other side has been reduced to a Monty Python skit…maybe “spot the loony!”, and isn’t worth the virtual type on this virtual page. We have creatures up here that lack a spine like the dems – we call them slugs. I’m sadly coming to the conclusion that what we are looking at is Bush’s third term. I didn’t expect real change from Obama when I cast my vote for him but he has been a major disappointment in almost every arena of government. I should have known better. nature – I blame the life guard – and with a passion. responsibility, than Bush, or less”? Liberals; though they pretend to advance our agenda. issue is still a Right Winger. Don’t forget it.